GM CEO Akerson declined to give a timeline for when he expects Opel to turn a profit. 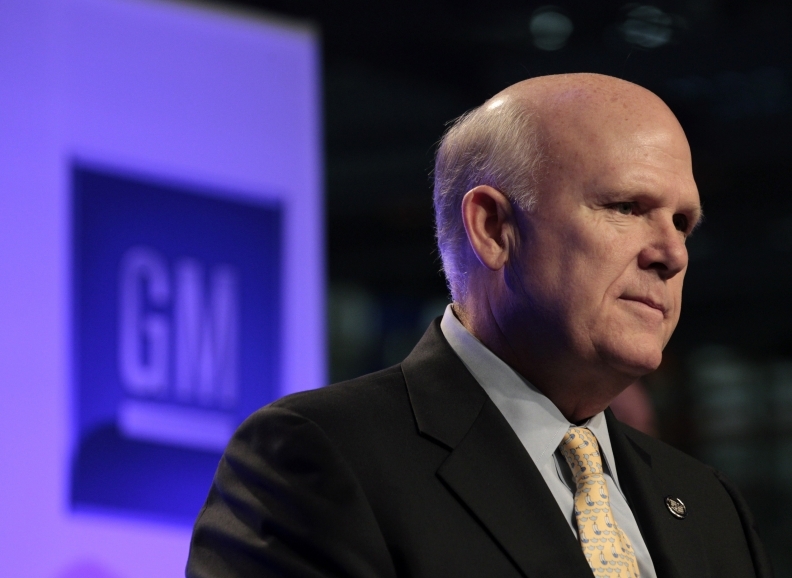 BEIJING -- General Motors CEO Dan Akerson said it will be "a while" before the company's Opel/Vauxhall unit turns a profit, and he wouldn't rule out closing factories as he restructures GM's European unit. Describing the carmaker's European operations as a "four-alarm fire," Akerson declined to comment when asked if he would have to shutter plants. He cited ongoing union negotiations. But Akerson said Opel won't recover until overcapacity is balanced with shrinking demand. "Until capacity or production is matched with demand, we're not going to be in a very enviable position," Akerson said on Tuesday during his keynote address at the Automotive News China Conference in Beijing. "Unless you have a strong export model in Europe, you're not making money," he said. Akerson declined to give a specific timeline for when he expects Opel to return to profit, but said it would be "a while." Troubles at Opel and its UK-based sister brand, Vauxhall, caused GM's European business to abandon plans to reach breakeven in 2011. The unit ended 2011 with a $747 million operating loss. GM has lost more than $13 billion in Europe since the late 1990s. Media reports have said that GM plants at Bochum in Germany and Ellesmere Port, England, are under threat of closure. Opel/Vauxhall sales fell 11 percent to 111,285 in March in the 27-member EU states plus Switzerland, Norway and Iceland in a total market down 6.6 percent to a 14-year monthly low. GM will be ready to make public details of a plan for Opel in the summer, Akerson told reporters on the sidelines of the Beijing auto show, according to the Financial Times. "We hope within the next couple of months to speak more specifically about details of the plan going forward," the newspaper quoted Akerson as saying. At the Automotive News China Conference, Akerson said GM's recent alliance with French carmaker PSA/Peugeot-Citroen is geared toward streamlining European and other overseas operations by leveraging scale. Akerson said GM is also very interested in PSA's diesel engine technology, and that is one area of possible collaboration, he said.